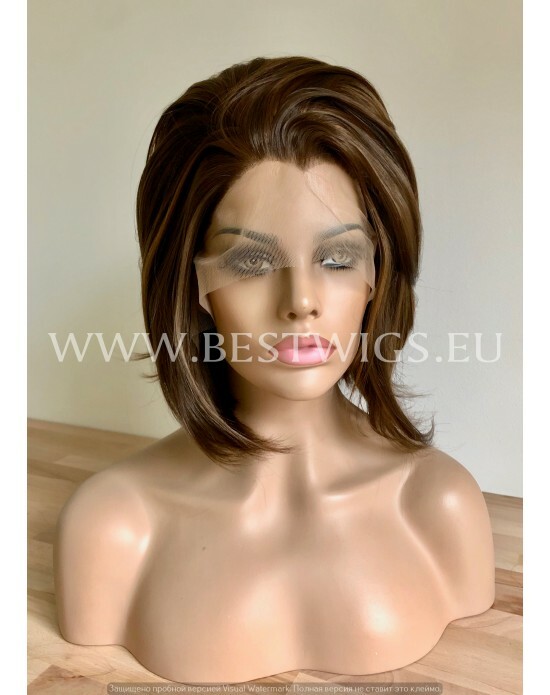 Lace front wig is a special type of hairpiece or wig designed with a sheer lace base. 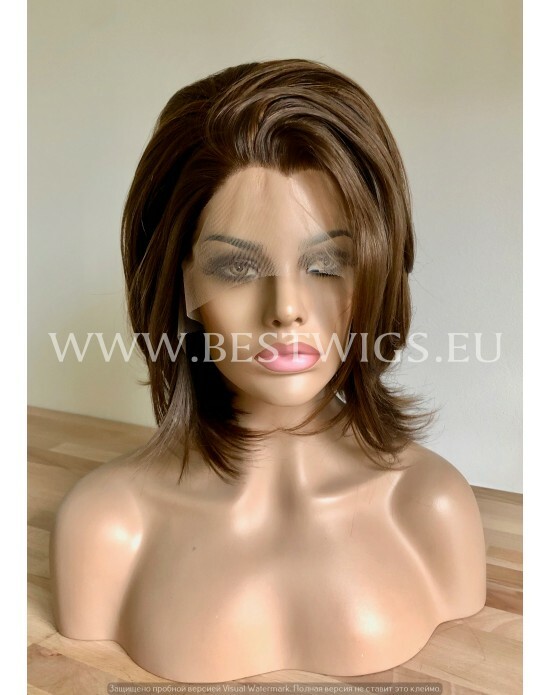 This wig is made with superior quality synthetic hair which tied, by hand, to a sheer lace base. 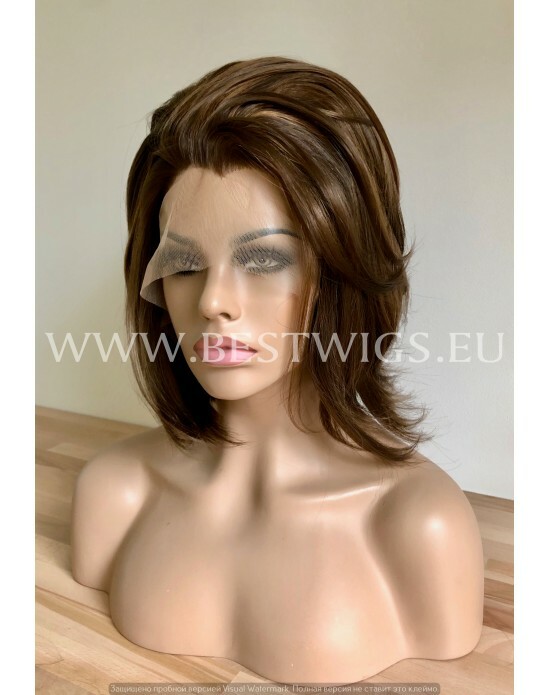 Full lace wigs may have a base made entirely of lace while the more common tactic is a lace front wig which has the sheer lace only at the front where the hairline is visible. 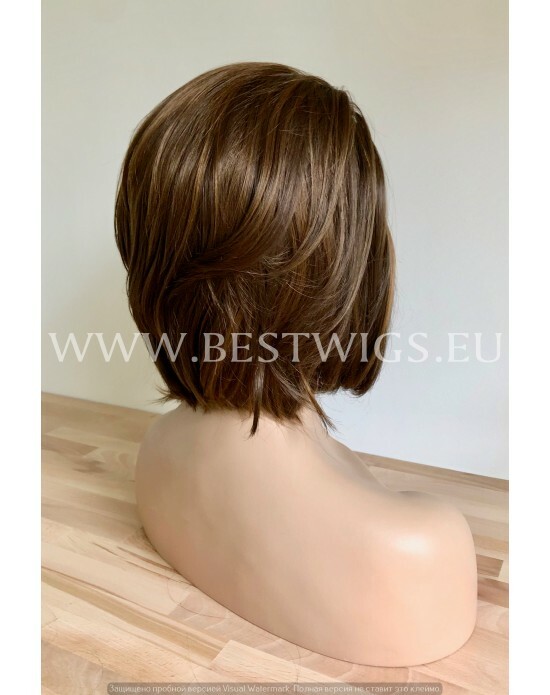 The remainder of the wig is made out of a less fragile material which is less susceptible to ripping or tearing than the lace. Full lace wigs can be pulled into a high ponytail and up-do's, as opposed to lace front wigs. The lace is only in the front half of the wig, to allow the customer to part the hair any way he or she wants. 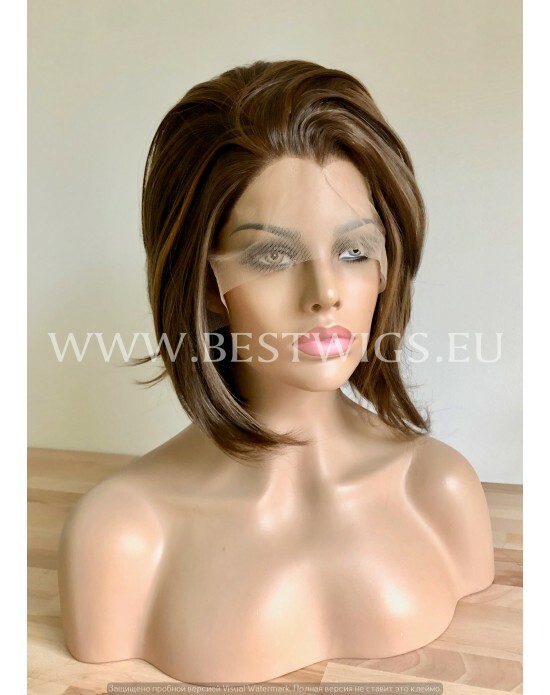 Some lace wigs also have what is referred to as "baby hair" around the temple areas which is used to cover up any visible signs of lace on the forehead, the baby hair also helps to create a realistic hairline.